From October 25-29, Oracle organizes Oracle OpenWorld in San Francisco. At Oracle OpenWorld 2015, Oracle executives and partners offer insight into Oracle's integrated cloud platform, the future of the enterprise, and the new era of secure computing. 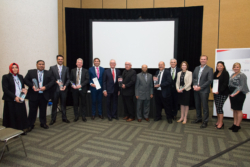 During the event, on Wednesday 28, Oracle Executive Vice Chairman of the Board Jeff Henley, Chief Sustainability Officer Jon Chorley, and other Oracle executives honor select customers with the 2015 Oracle Sustainability Innovation Award. 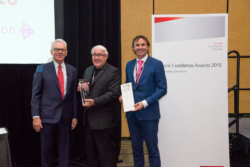 This award recognizes customers and their partners that rely on Oracle products to support their sustainable business practices to reduce their environmental impact while improving business efficiencies and reducing costs. On behalf of Pincvision we nominated our client Cisco for this award. Cisco is innovating to address environmental challenges, reduces its own impact, and helps customers reduce theirs. Some of Cisco’s key environmental sustainability solutions include: Energy Management, Pack It Green and Code of Conduct Compliance. It is our great pleasure to share with you that Cisco has won this award! Our congratulations go out to the entire Cisco team for winning this fantastic prize and acknowledgement! 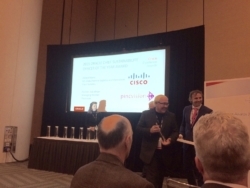 What makes us even more proud is that Cisco on its turn nominated Pincvision for the Partner Award. As Cisco's global trade compliance partner, Pincvision’s services & tooling (integrated within Oracle applications) helps Cisco meet its worldwide environmental compliance obligations and other take-back requirements for end-of-life electronic equipment, batteries & packaging. This collaboration contributed to Cisco winning the Sustainability Award. 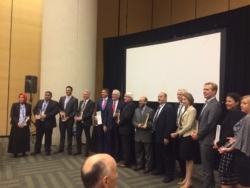 Edo Bosga, CEO of Pincvision accepted the award in person in San Francisco today: "I am extremely proud to receive this award from two of the most large and innovative IT companies in the world. The award is a great recognition for our dedicated services and true partnership. This can only be achieved through a team effort, for which I would like to thank the entire Pincvision team!"